Susan Zoline, Ph.D., is a Licensed Clinical Psychologist who has been practicing, teaching and consulting in the Chicago area for over 30 years. Dr. Zoline is associate professor of Psychology at the Illinois School of Professional Psychology at Argosy University, Chicago, where she has been teaching clinical masters and doctoral students for over 25 years and has received numerous teaching/service awards. Dr. Zoline’s areas of professional expertise include professional ethics, suicide, violence and abuse prevention/assessment/intervention, supervision and risk management. Dr. Zoline is a longstanding member of the Illinois Psychological Association Ethics Committee which she co-chairs. Additionally, she has served as an expert witness for the IL Department of Financial and Professional Regulation regarding clinical psychologist licensure issues. She has worked clinically in a broad variety of settings and regularly consults and provides workshops to mental health and other professionals on topics related to professional ethics. 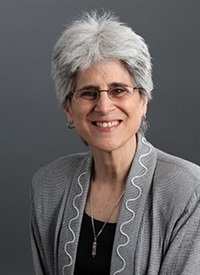 Financial: Susan Zoline is an Associate Professor of Psychology/Core Faculty Member for the Illinois School of Professional Psychology at Argosy University. Non-financial: Susan Zoline is a member of the American Psychological Association and Illinois Psychological Association.